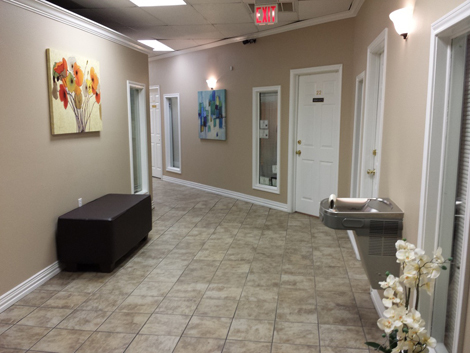 "...It's time that you indulged in a bit of luxury at Salon suites of Euless! !, Our fully furnished suites provide maximum comfort, and our expert stylists are simply the best Hair and Nail, massage therapist." Because a great haircut matters. A quality haircut and style can increase our confidence tenfold. 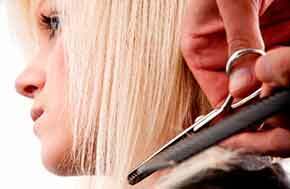 The hair experts at Salon Suites of Euless can help you no matter what your hair type: Dry, coarse, curly, thin, stringy, limp, oily, wavy and fine. Why settle for what nature gave you when we can improve on it, naturally. No matter what condition your nails are in, it is possible to create polished and perfectly groomed hands. You may prefer trim, softly buffed nails, or nails that are exquisitely extended and shaped. Our professional nail technicians are experts at applying silk fibers for strengthening the nails, tips, or acrylics to extend the nails, as well as, the classic manicure and pedicure. A facial is the ultimate treat for anyone, male or female, whether you’ve got young skin or old skin. Treating your tired, dull-feeling skin to a renewing facial can quickly pick your day up and leave you feeling like a new person. They are also the perfect gift; whether you know someone who could do with some pampering, or just someone who you’re struggling to find the perfect gift for, a facial is an amazing special gift to give to anyone. Massage as a healing tool has been around for thousands of years in many cultures. Touching is a natural human reaction to pain and stress, and for conveying compassion and support. Think of the last time you bumped your head or had a sore calf. What did you do? Rubbed it, right? The same was true of our earliest ancestors. Bodily hair can be removed from the face, under arms, legs, bikini line, and other areas. A warm honey wax is expertly applied after sterilizing the area with antiseptic lotions. After a few moments, the wax and hair are removed with a minimum of discomfort by one of our experienced technicians, leaving you silky smooth for up to four weeks. Most waxing services are available for both men and women. 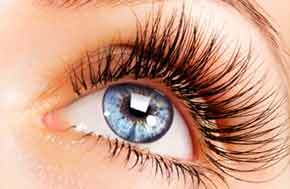 Eye Lash extensions add length, thickness and fullness to your natural eyelashes. It takes beautiful lashes to a whole new level. It's a great way to extend your natural eyelashes without the use of mascara. It looks natural and are easy to maintain.